application online before the last date of 10-12-2018. SSUPSW recruitment official website is www.sids.co.in. 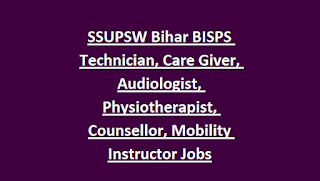 Selection for this SSUPSW Technician, Care Giver and other posts will be based on written exam or interview and Merit in qualifications. Detailed information about this SSUPSW vacancies are given below. Upper age limit for all the posts is 55 years. 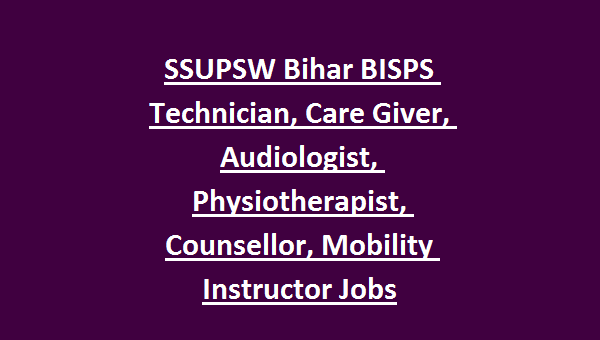 Candidate selection will be based on written exam on interview for this SSUPSW BISPS Project jobs. Submission of application form online before the closing date of SSUPSW BISPS recruitment 2018. Last date for submission of application form to SSUPSW Bihar recruitment 2018. Last date for submission of application through www.sids.co.in on or before 10-12-2018.